Wednesdays are always a very “up” day for Carly. Wednesday morning starts off with Speech Therapy, where Carly is doing very well. 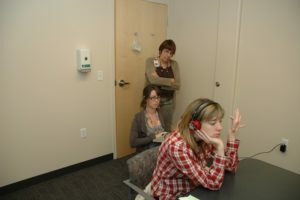 The Speech Therapists, Mary and Hadley, have really taken a special interest in Carly. Mary has talked to a number of colleagues about the very unus ual issues in Carly’s case. Her situation is one that they don’t often get to work within their careers. Hadley has encouraged close school friends to come to observe her sessions with Carly, which has been exciting for her. We continue to be blown away by how all of this worked out for Carly and can‘t imagine a more perfect situation for Carly’s therapy. 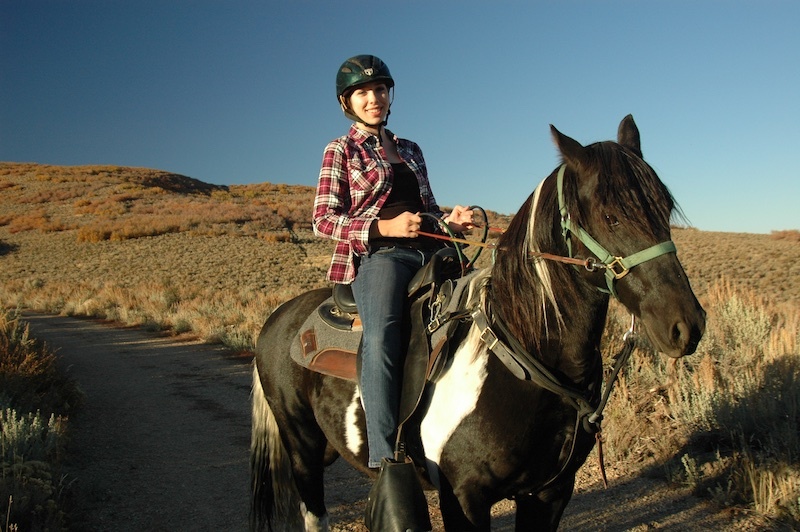 Wednesday afternoon is Horseback Riding Therapy. This has been by far the one thing that has always put smiles on Abi, Noah and Carly’s faces. 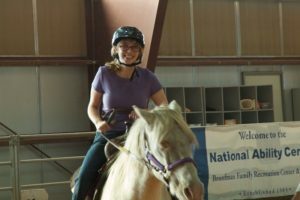 There has been a lot of research on the effects that horseback riding has on a person with brain injury. It obviously sharpens balance skills just to stay on the horse. We take for granted the little things our brain commands our body to do automatically and at such a fast pace. Balance adjustments really work the brain hard and are very beneficial to a brain injury patient. 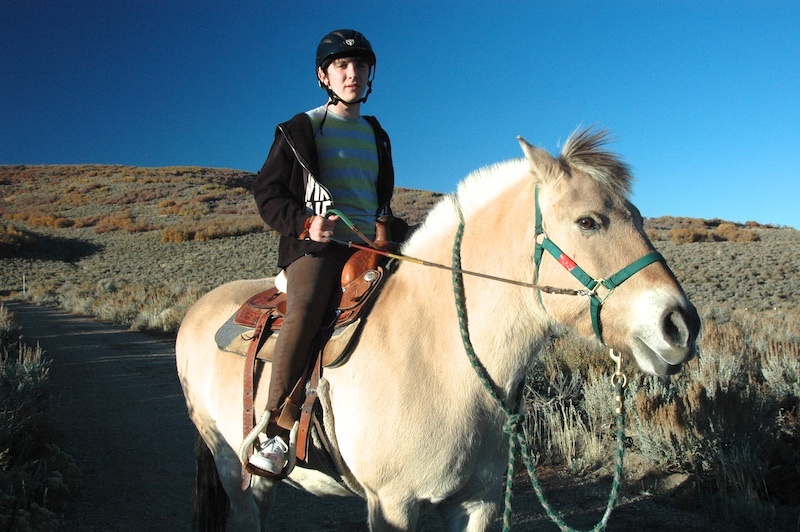 Also, just being around a horse has a very positive effect, with a special relationship between the horse and rider. There are a number of interesting articles on the internet that are fascinating to read. When Carly was first injured, we had several close friends call and suggest we get Carly involved in horse therapy as soon as possible. 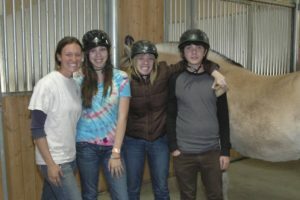 The National Ability Center is one of the most well-known Horse Therapy facilities in the country. NAC has been highlighted on the Today Show. Located in Park City Utah, just 25 minutes from where we are currently living, they offer a number of outdoor sports and recreational programs in addition to the therapeutic riding program, all designed to encourage those with physical and developmental disabilities. They also include the whole family, with programs for those without disabilities too. 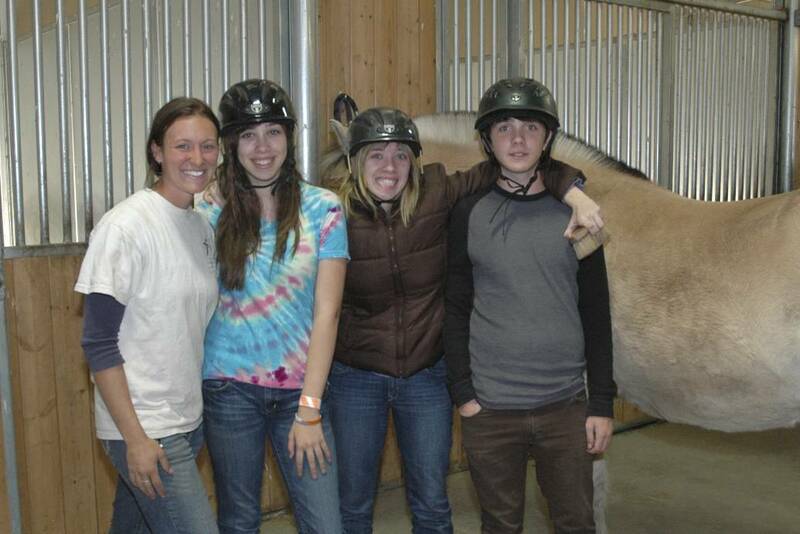 Wednesday is the day Carly, Abi and Noah all take a riding lesson. The NAC encourag es siblings to participate in the program. It is the highlight of the week. Carly gets extremely excited just knowing we are going to the NAC. The lesson starts with grooming and care for the horse. Next, they tack up by getting their saddles out and putting them on the horses. The entire program is geared to teaching proper horsemanship as well as riding. We have seen many benefits for Carly. In addition, riding has always been a dream of Abi’s. Abi has excelled and looks natural on the horse. Noah is riding and enjoying it as well. For mom and dad, it is tremendously enjoyable to watch them learn, excel and have so much fun.